A small population of Beet Leafhoppers (BLH) was found in the Tumey Hills area. Counts were on average, 7-9 2nd and 3rd instar nymphs and 1-3 adult BLH, per 10 sweeps. Another small population of BLH was found in the Coalinga "Big C" area last week. Counts were on average, 2-3 adult BLH and 5-10 2nd and 3rd instar nymphs, per 10 sweeps. 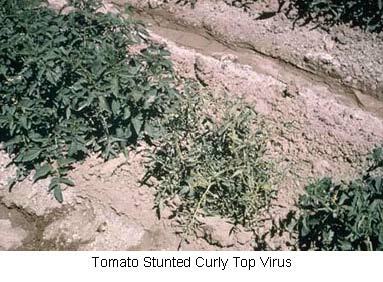 The Beet Curly Top Virus Control Program is currently planning treatment in the Tumey Hills area for this week. Treatment plans and waivers are being prepared for the Coalinga area. Email jennifer.willems@cdfa.ca.gov if you suspect curly top virus in your fields, so that the BCTV program can monitor and collect samples for testing. Thank you!